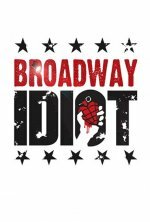 The documentary feature chronicling the creation of the legit musical version of Green Day album “American Idiot”. Broadway Idiot release date was Friday, October 11, 2013. This was a New York release. Friday, October 18, 2013. This was a Nationwide in theaters release.